They tied the knot at the National Archives in Washington, D.C. In this Sept. 8, 2017, file photo, MSNBC hosts Joe Scarborough and Mika Brzezinski attend the Daily Front Row's Fashion Media Awards at the Four Seasons Hotel in New York City. E! News can confirm that "Morning Joe's" Joe Scarborough and Mika Brzezinski are officially married. According to Vanity Fair, the television anchors tied the knot at the National Archives in Washington, D.C. on Saturday with the nation's founding documents, including the Constitution and Declaration of Independence, right at their side. Scarborough and Brzezinski became the first couple to ever get married at the Archives. The ceremony was officiated by Maryland Rep. Elijah Cummings. Brzezinski and Scarborough released a statement saying they attended an event at the National Archives a year ago and were blown away by the space. "We’re truly honored to get married there. The setting was symbolic, given our roles and what we stand for as a couple. It was a memorable night and we’re thankful for the National Archives and the National Archives Foundation staff for agreeing to host our wedding," their statement said. Mika Brzezinski, co-host of MSNBC’s “Morning Joe” spoke out a day after President Donald Trump attacked her and Joe Scarborough on Twitter. Brzezinski said Trump's insult followed a joke she made on her show about the fake Time magazine cover that was reported to be hanging in at least four of Trump’s golf clubs. 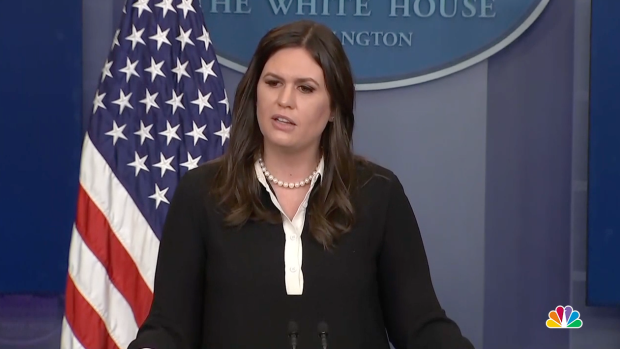 "It is unbelievably alarming that this president is so easily played…by a cable news host. What is that saying to our allies, to our enemies?" Brzezinski said. Despite appearing on millions of television screens around the country every morning, the co-hosts kept their ceremony very private and intimate. There were five guests in attendance, plus both of their children. Scarborough has four kids, Brzezinski two. They kept it that way on purpose, too. "We wanted it to be really small and simple and not what you expected from Mika and Joe," she told Vanity Fair. "Everything we do is exposed, and everything felt exposed every step of the way, so we want this to be private until it's over." Vanity Fair explained that there weren't even formal invitations for the wedding. The identity of Scarborough and Brzezinski were kept under wraps for vendors, as was the location of the dinner after the ceremony. The reception dinner was a tad larger than the group of people at the wedding. Guests dined on caesar salad, acorn squash soup, roast chicken, gnocchi and more. Their indulgent wedding cake was a 20-layer crepe cake. 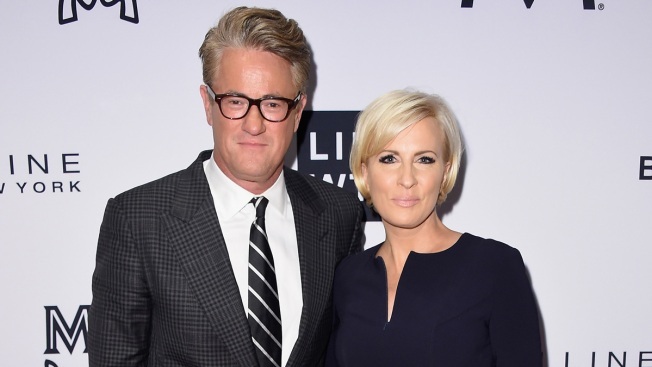 The Morning Joe co-hosts got engaged in March 2017 when Scarborough popped the question while the two of them vacationed in the south of France for Brzezinski's 50th birthday. Brzezinski described the proposal to Vanity Fair at the time. "When I saw him on one knee, I started laughing nervously, almost hysterically," she explained. "And then he asked, and I said, 'Absolutely.'"